Tom Perriello is a Virginia Democratic politician who ran unsuccessfully for the party’s 2017 gubernatorial nomination now serving as executive director for U.S. programs at the Open Society Foundations. He has served as a one-term U.S. Representative, a State Department official in the Obama administration, and as president of the liberal advocacy group Center for American Progress Action Fund. Perriello has a reputation as an aggressive liberal, staking out a left-wing voting record in Congress, pushing liberal policies as an advocate and administration official, and campaigning on a platform reportedly inspired by that of self-described democratic socialist U.S. Senator Bernie Sanders (I-Vermont). Thomas Stuart Price Perriello was raised in a small town outside Charlottesville, Virginia. His father, Vito, was a well-known local pediatrician and his mother, Linda, a financial analyst. Tom was the youngest of four children. Perriello attended western Albemarle public schools before graduating from Saint Anne’s-Belfield, a private Charlottesville boarding school. He went to Yale University for college. He then claims to have spent some time working for a “sustainability” company before going back to Yale law school, graduating in 2001. From 2002-2003 he worked as an assistant to the international prosecutor of the Special Court for Sierra Leone. Then he returned to the U.S. and was based in New York while he worked stints as a national security consultant in Kosovo, Darfur, and twice in Afghanistan for the International Center for Transitional Justice. In 2007, Perriello co-founded the “global progressive group” Avaaz.org with two colleagues who had helped him start Res Publica. Avaaz was formed in collaboration with liberal website MoveOn.org, the massive Democratic online activist group. In its first five years, Avaaz raised about $30 million from members around the globe. Initially, Avaaz was known for its online petitions taking leftist positions and attacking companies that they believed were causing global warming. During Perriello’s 2017 gubernatorial campaign, Avaaz, run by Perriello’s co-founder and colleague, gave Perriello’s campaign $230,000 in “seed” contributions. The Washington Post wrote that Periello had taken money from “an international activist group that doesn’t disclose the names of the overwhelming majority of its donors” and his opponent criticized him for taking Avaaz’s “dark money” donations. Perriello described his 2008 campaign as one based on “conviction politics,”  which critics claimed meant that he arrogantly put his progressive priorities above the desires of the voters in the district that he was vying to represent. During his single term in office Perriello stuck to his left-wing 2008 campaign agenda and backed President Barack Obama on several important votes. Perriello voted for the controversial $800 billion stimulus package, the Obamacare bill, and the proposed “cap-and-trade” environmentalist energy policy.Perriello also pushed to end a $14 billion corporate tax credit to pay for environmentalist programs focused on weatherization and energy-efficiency. Time Magazine labeled him an “unapologetic progressive” for his congressional votes. During Perriello’s 2010 re-election campaign his opponent criticized his votes in support of Obama’s priorities, including the cap-and-trade bill, which his opponent said gave tax breaks to foreign companies creating jobs in China. President Obama campaigned for Perriello in the final weekend of the campaign. Perriello was defeated. In 2011, Perriello was named president of the Center for American Progress Action Fund, a 501(c)(4) advocacy and lobbying organization best known as the publisher of the ThinkProgress network of liberal blogs, just as his post-congressional lobbying ban was set to expire. CAP Action was established as the advocacy and lobbying arm of the Center for American Progress (CAP) think tank, which was established by longtime Clinton family confidant John Podesta, liberal billionaire George Soros, and a handful of other prominent Democrats and former Clinton administration officials. The Action Fund is also the home of the Progress Report, and a college campus-organizing group, Campus Progress. In this post, Perriello supported the Democrats and liberal policy issues. Perriello released a statement lauding the Democratic-controlled Senate’s vote to enact the nuclear option in appointing numerous federal appellate judges. Perriello fasted in solidarity with leftist immigration reform activists and he penned an op-ed calling for amnesty for 11 million illegal immigrants. From 2011 to 2013, the Center for American Progress Action Fund spent over $500,000 lobbing the federal government. The organization lobbied on a wide range of bills taking liberal policy positions against domestic energy production, against a repeal of Obamacare, and to raise taxes on American energy corporations. In February 2014, was appointed to a position in the Obama administration’s State Department under Secretary John Kerry. Perriello would lead a State Department and U.S. Agency for International Development efficiency review effort originally created by Secretary Hillary Clinton. Perriello said one of his top objectives in this effort would be to make sure that climate change was integrated into the State Department’s strategic vision. He also focused on number of other leftist global priorities that sought to use American taxpayer dollars to cut poverty, create an inclusive global middle class, and address global health problems. After the report was released in April 2015, the Washington Post highlighted criticisms that it’s “[proposed] solutions feel very small-bore compared with the scale of the problems identified.” Specifically that the report didn’t have a big plan for reforming the UN to deal with failed states, nor does it propose a groundbreaking strategy on climate change. In July 2015, President Obama additionally appointed Perriello Special Envoy to the Great Lakes Region and the Democratic Republic of Congo. In January 2017 Perriello launched a “progressive insurgent” campaign for Governor of Virginia. According to liberal magazine The Nation, Periello would have been among the most liberal governors ever elected in Virginia. Perriello focused his campaign on national issues and opposition to the Trump administration. In addition to obstructing conservative policies, Perriello said that as governor he would support a number of left-wing priorities. Perriello’s campaign supported government-funded community college, supported a $15 minimum wage, called for state funding of eight weeks of paid family leave for employees, opposed tax cuts, opposed Republican plans to repeal Obamacare, and proposed government funded clean-energy projects. 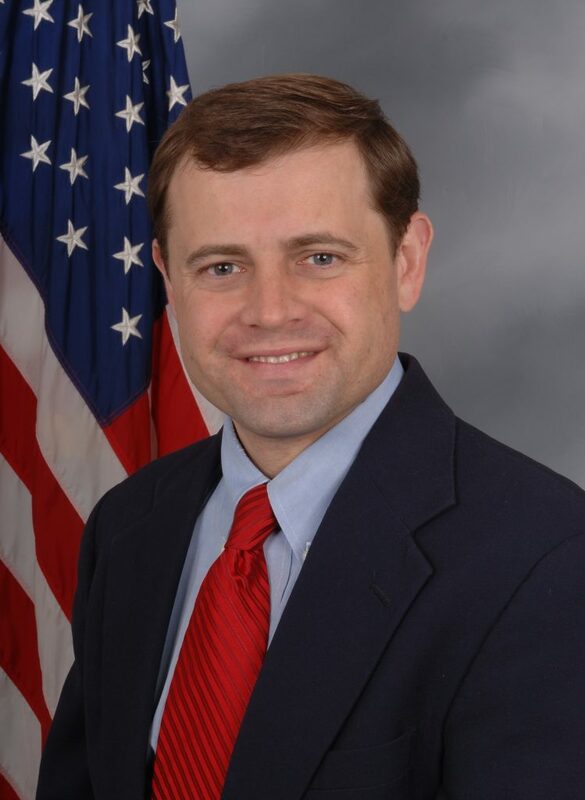 During the race, Perriello was endorsed by U.S. Senators Bernie Sanders (I-Vermont) and Elizabeth Warren (D-Massachusetts),  CAP founder and former Hillary Clinton campaign chair John Podesta, current CAP CEO Neera Tanden, and about 30 Obama White House staffers including Obama’s 2008 campaign manager David Plouffe and former White House Senior Adviser Dan Pfeiffer. Perriello was defeated by Northam in the Democratic primary. In June 2017, immediately following his Democratic primary loss, Perriello launched the Win Virginia PAC to raise $1 million in support of Democrats in Virginia hoping to try and flip the Virginia House of Delegates to the Democrats. In the 2017 general elections, Democrats made substantial gains but did not win a majority of seats. In 2018, Patrick Gaspard, a former Obama Administration official who leads George Soros‘s Open Society Foundations, appointed Perriello to lead OSF’s United States programs.